Last year, I decided that I wanted to learn how to knit. 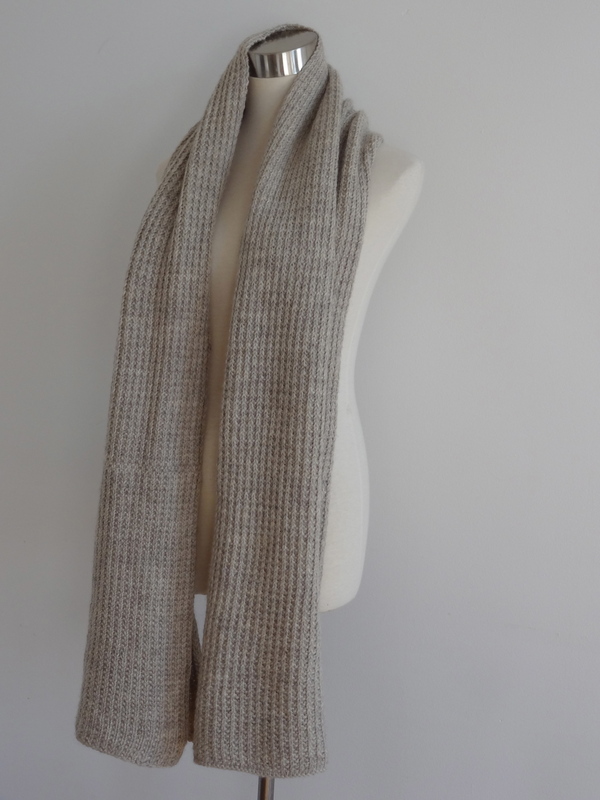 My friend Merav had just finished making herself a beautiful herringbone knit cowl and I thought, "What a great skill to have!". Wouldn't it be nice to make exactly what you want in the color of your choice? I embarked on a knitting project that took me 10 months to finish! It wasn't difficult, but I was so slow at the beginning! Then, it was summer so I decided to put it aside. Christmas began to approach rapidly and, since this was a scarf for Josh, I finished it up as quickly as possible. Merav helped my bind off and tuck the ends in just in time on Christmas day while Josh made a lovely, holiday feast. Repeat Rows 1 and 2 until almost all the yarn has been used and bind off. **lessons learned: Apparently, I knit this entire project purling incorrectly! I got really lucky and the pattern was easy so it is unnoticeable. If you need a refresher, there are plenty of videos on you tube on how to knit and purl. If you don't know how to knit, have a friend teach you first and then use the videos as a reminder. It's hard to learn from the videos themselves if you've never held needles and yarn in your hands before. **lesson 2: Don't teach other people how to purl incorrectly!! Merav will yell at you and rightly so! Sorry Stephanie! ~~Thanks to Merav for taking so many great pictures of the scarf on your dress form!